Although the Equal Pay Act was first introduced in 1970, women's salaries in PR still lag well behind that of their male counterparts, particularly at senior level and for those aged over 40. 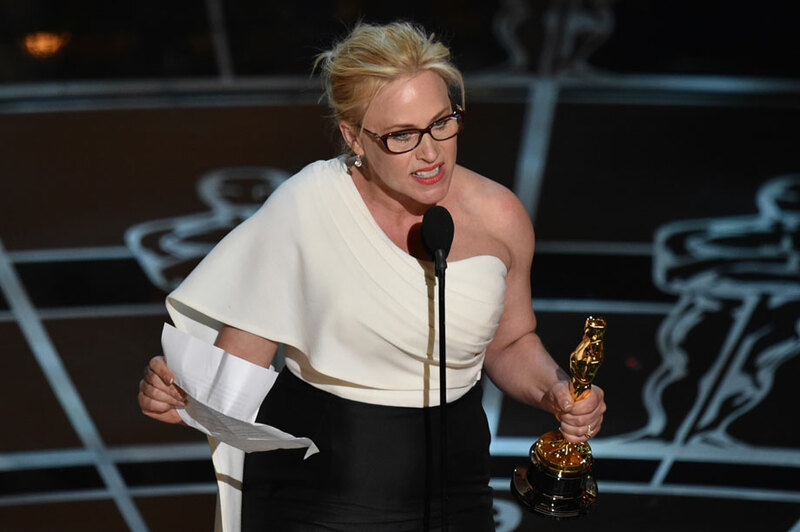 First the bad news: Patricia Arquette’s ringing call to wage equality arms at the Oscars last month was timely as far as the PR industry is concerned. PR, like Hollywood, places a premium on appearances but that is not where the similarities end. The industry’s treatment of its women professionals still leaves much to be desired. This bald fact can be expressed in dispassionate numerical terms: the gap between male and female salaries is £13,887, according to the CIPR’s annual State of the Profession report, conducted with Survation, which surveyed 2,500 PR professionals. The basic picture is far from satisfactory, with the figures revealing that there continues to be a noticeable gender pay gap between males (£51,486 for employees and £55,566 for independent practitioners) and females (£43,962 for employees and £42,910 for independent practitioners) in PR. Hold on to yourself, dear reader, because if you drill down deeper into the figures, as the report’s researchers did using multiple linear regression analysis to probe the extent of gender pay differentials, the picture worsens further. Contrary to expectations, factors such as the prevalence of part-time work among women do not fully explain why women are paid less than men. Indeed, the report asserts that pay inequality cannot be explained by having children, which it says appears to have no impact on pay at all. Factors such as length of service, seniority and more part-time working by women can explain £5,404 of that £13,887 gender pay gap. But that leaves £8,483 that cannot be explained by any other factors and is therefore the pure effect of gender on pay. Indeed, the report concluded that in PR, gender has the third largest overall impact on salary, after level of seniority and years in industry. More than four decades after the Equal Pay Act made it unlawful for women to be treated less favourably at work than men, women are still struggling to achieve pay parity in PR. Given that PR is a female-dominated industry – women comprise 64 per cent of the profession – this is especially concerning. The story of women in PR is symbolic of the bigger picture of women and their evolving status in the workplace. Women have dominated PR in numbers terms since the 1980s and the historic reasons for this neatly attest to the patronising attitudes to women and to the profession at the time: the business of presentation and communication was not accorded importance in an organisation and was seen as the province of women. Hence, responsibility for PR was often given to a business secretary, or personal assistant to a chief executive. Rachel Friend helps run Women in PR, a networking organisation for senior female PR professionals. 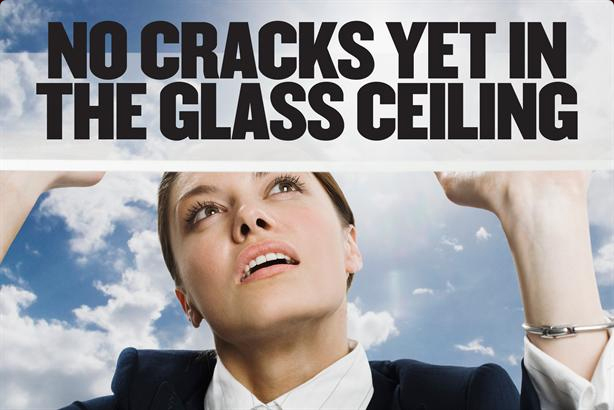 As managing director of Weber Shandwick London, she is also someone who has punched her way through the glass ceiling. She feels that PR is a natural fit for women’s talents, which she describes as strategic, creative and most crucially understanding what an audience will think and feel before engaging them to get the desired outcome. She says: "It is what women have intuitively done for centuries, from planting ideas in their husband’s minds to running a family. Women are natural influencers. We rarely stamp our feet and shake our fists; instead we listen to other people’s views, collaborate and get people on board with our thinking." Perhaps the natural fit with female talents is a reason that the number of women working in PR continues to rise, with a 5.7 per cent increase in number since 2008. Friend was herself inspired to succeed by seeing the number of women who had made it to the top of the profession. "I was PA to a female board director who kept good company, with two-thirds of that board made up of motivating women," she says. But Friend is in no doubt that the personal costs imposed on working mothers is an important reason women leave PR and continue to earn less than men do in the profession. "The extracurricular activities that school-age children enjoy and the associated assumption that mothers must be involved in them exert a toll," she says. "In the end, it has an effect; we feel guilty; we question ourselves and it sometimes forces us to make decisions to opt out of the workplace during the crucial five to ten years when we should be pushing on to get to the top." One of the grievances expressed time and again by Hollywood feminists like Arquette is that once women reach a certain age, their employment prospects go into marked decline. Here too there is a similarity with the PR industry, for the evidence shows clearly that seniority has a significant impact on the gender pay gap. Put simply, the more senior the position, the greater the gap is between what men and women are paid. At the professional starting block men and women in PR have equal salaries. Then, the gap begins to appear at officer level. At manager level, this problem appears to be temporarily eliminated, but it rears its ugly head once again at the head of comms/associate director level, with a £9,002 difference between male and female pay. This seems to be part of a broader employment trend – that of the mid-life pay crisis that hits female managers. According to the 2014 National Management Salary Survey, women aged 40-plus are paid 35 per cent less than men and would have to work until they were nearly 80 in order to earn the same as a male manager. "This is not a PR industry issue; it is a working mothers’ dilemma," Friend insists. This discernible pattern to gender disparity in the industry, where at key steps on the career ladder women earn less than men, means that efforts at rectifying the problem will have to take a more comprehensive approach than merely attracting more women into the profession. It would be a mistake to paint a uniformly gloomy picture, however. First, the fact that the CIPR annually surveys the state of gender pay in the industry is good. It shows that the industry recognises it has a problem. Even more encouragingly, it seems as though it wants to do something about it. The CIPR has consulted Sheila Wild, former director of employment policy at the Equal Opportunities Commission, who completed a policy analysis for the organisation that was presented to its board last month. Wild advised the trade body to set a strategy for eliminating the gender pay gap. At its heart will be the thorny issue of pay negotiations and a changing narrative about women working in PR. As part of its efforts to promote a changed narrative, the CIPR says it intends to build on its strategy around flexible work in the industry, taking guidance produced last year as a template, which pointed out that in an international 24/7 PR world flexible working makes business sense for men, as well as for women. The CIPR says it wants to work with all stakeholders to achieve balance between work and family. Tackling pay transparency may prove more challenging. The CIPR is cognisant of the fact that equal pay is a legal requirement; nonetheless the onus is on the industry to show that it is capable of delivering it. Andrew Ross, PR and policy manager for the CIPR, agrees that the industry may need to be reminded of its legal obligations. He says: "There is anecdotal evidence that gender pay disparities are more of an issue with small and medium-sized firms. If that is the case, it may be because big firms should have the capability to manage equal pay." This point is supported by Friend, who comments: "If I look at my own agency, our senior management team in London over-indexes with women: three of our four MDs, the head of the integrated studio, our UK planning director, our UK head of HR, our head of global marketing are all women." The CIPR’s strategy for encouraging pay transparency and equal pay reporting will centre on raising awareness of the issue and legal obligations to ensure equal pay. To that end, it will hold a series of roundtables with industry figures in the coming months to drive its message home. The future, then, is not bleak. Friend, for one, refuses to give any quarter to patriarchy. Would she recommend going into PR as a career for young women today? "Every day of the week," she says emphatically. "We did not struggle for centuries to turn the other way now." Why are there so few female leaders in PR? The Athena Doctrine: Is the future of PR feminine?